When it comes to censorship in video game localisations… Fire Emblem Fates has not exactly had a good time with it. From removed scenes involving magical gender related drugs to characters being aged up and romantic elements being cut out on various occasions, it’s feeling like the Nintendo localisation team have gone into overdrive with the random and arbitary changes. So what do we think about it? Well to be honest, we’re not the biggest fans of all these changes. Oh sure, they’re made to ‘appeal’ to Western sensibilities, but given that the series mostly has a very niche fanbase (which probably won’t be made up of uber religious people complaining about how games are destroying the youth), it seems a little strange to make all these changes. And the fact they’re gameplay related changes… that doesn’t exactly bode well for the future either. Are we going to start seeing whole levels or boss battles cut out in future Nintendo titles because they might ‘offend’ some audience in the US or Europe? Still, we can see why games do get changed when they’re localised, and we’re not going to go as far as some people in saying that ‘any change whatsoever is a bad thing’. Games can be made much more interesting when the storyline and script is changed, as anyone who’s played a Mario RPG will tell you. We’re not just fans of gameplay and game mechanics being cut out, or elements of the game being removed because they might be ‘offensive’ or ‘awkward’ to certain audiences. But what do you think of these changes to Fire Emblem Fates? 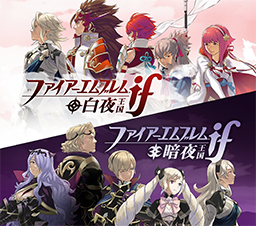 Fire Emblem Fates being Released as One Game in Europe?